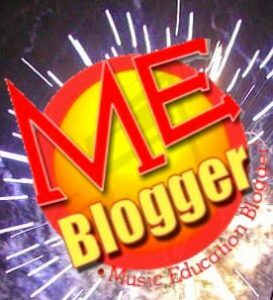 Welcome to 2009 and the Official List of the 100 Music Education Bloggers (ME Bloggers)! When I first announced that I would be setting a goal to have 100 Music Education Experts Blogging by January 1st, 2009 back in December of 2007 -some believed it wouldn’t actually happen… but it did! I believed from the start that I/we would be able to start a community of Music Education Bloggers in only a year’s time; but, I can tell you that the road was a long one complete with its “ups and downs”…but the road less traveled usually is the one with the most benefits at the end of the journey. This campaign certainly has been a benefit not only to those that are included in the list, but every single person that reads their writings. There were a number of aspects of the campaign that I wanted to instill in the essence of the ME Blogger Campaign. First, I wanted to build a community of Music Education Experts that would take advantage of the Web 2.0 platform and start an online community that would allow them to share their expertise with each other and the world. My hope for the community, and the community that builds upon those of the 100 ME bloggers, is that we continue to have an open a dialog about our profession, mission, and the importance of music in the daily lives of people, not only among our ourselves, but among all those that come across our writings, freely, with each other. Secondly, I wanted to build a community that was non-exclusive, not completely ivory tower, not completely practice oriented, not completely acting educators, nor exclusive of those in the so-called “fringe areas” of acceptable music genres – all types of music are acceptable for learning, discussion, and enrichment. This community would also not be centered around one country, nor any particular gender or ethnicity. With this in mind, you will see that the 100 ME Bloggers are made up of established professionals, professors, doctors, teachers, music merchants, performers, practitioners, industry experts, and even a few inspiring music students. The 100 ME Bloggers comprise of multiple ethnicities, multiple diversities, and are from varying geographical locations and all of them have one ideal in common with one another: the pursuit of the application of music for the betterment and enrichment of the lives of people everywhere! In the months to come, it is my hope to write more about how to continue to grow as a Music Blogging and Web 2.0 Integrated Community. In the short future, I will be posting a number of ways to keep track of all of the information being put out by the 100 ME Bloggers and show how this tremendous resource can be contained and utilized efficiently by anyone who would like to glean the gems that are coming out, daily, by the ME Bloggers. To answer a few questions up front that some of you may be asking now the ME Blogger Campaign is over… I will not be extending this list in the future as the number of Music Education Bloggers has exploded with the excitement that has/is being generated by the pioneers on this list. I will, however, continue to highlight, encourage, all the “newbie” ME Bloggers through posts and direction. I also can tell you that any of the ME Bloggers will help you get started with your own blog if you ask them. If you are thinking about starting a Music Blog or Website for any reason, don’t wait, contribute today by starting your own. I intend to make one more official graphic for the 100 ME Bloggers so that they can post it on their sites. It is also my intention to take this year and highlight the 100 ME Bloggercampaign in a number of journal articles and written publications. I will post the availability of these as I become aware of them. In addition, I plan on speaking at a number of clinics and music education conferences about this project as well…I’ll post my upcoming venues soon at MusTech.Net. Please visit them today, congratulate them, and learn from what they have to offer as they do from each other and others like them.